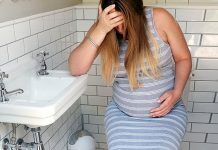 As if pregnant women actually needed more evidence, a new study reinforces the fact that pregnancy and smoking simply do not mix. According to research published in the Journal of the American Heart Association, smoking just a few cigarettes has a significant effect on the relaxation of the blood vessels lowering the amount of blood that actually reaches the forming fetus[smoking during pregnancy]. The results of a reduced blood flow to a developing baby can range from a smaller head and thus a smaller brain as well as an overall shorter body length and a definable lower weight at birth. 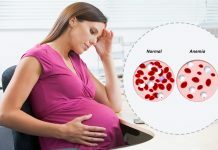 The fact that smoking can lead to low birth weight babies has been known for half a century but this study now pinpoints the actual connection by showing how smoking affects a chemical in the body that reduces blood flow into the developing baby. To a developing fetus blood is the transportation system for food and nutrients which it needs in order to develop and grow. Slow that transportation system down and the baby receives less food, less food equals less weight. The scientists said that all is not lost if a mother is still smoking before she discovers she is pregnant. If a mother quits smoking reasonably early in her pregnancy the chemical balance will be restored and the blood will flow at normal rates producing a baby of regular birth weight.